On Snapchat, conversations happen fast. Sometimes, too fast. Is there an unsend or delete button? Whether you're chatting with a friend by text in the chat tab or snapping photos back and forth with a group of friends, it can be helpful to know there's a way to clean things up when conversations are frequent or you have a change of mind when you send or post something. Here are the three different ways you can clean up your Snapchat activity. Let's start with something easy: your chat feed. This is one of the main tabs that you can access by tapping the speech bubble icon in the bottom menu. Navigate to your profile tab by tapping the ghost icon in the top left corner. Then tap the gear icon in the top right corner to access your settings. Scroll down to tap Clear Conversations under Account Actions. On the next tab, you'll see a list of the friends you've had conversations with that have Xs beside them, which you can tap to clear them from your chat feed. You'll have to take a look at what your options are in the next slide if you want to unsend something! Okay, now let's move on to the big question everyone wants to know. Is there really a way to unsend a snap? Unfortunately, Snapchat currently does not have an official feature that lets you unsend a snap that was sent too quickly or to the wrong friend. In previous versions of the app, users figured out that they could prevent a snap from being received if they were able to delete their accounts before the recipient opened their snap. Deleting your account to stop a recipient from opening a snap that was sent by mistake no longer works in the most recent version of the Snapchat app. If you try to delete your account before the recipient opens your snap, you'll have to wait 30 days until your account is officially deleted forever. Snapchat puts all accounts on a 30-day deactivation status before official deletion just in case account owners change their minds and wish to reactivate their accounts again, which can be done by simply signing in to the app within that 30-day deactivation period. Unfortunately, a deactivated account won't save you from snaps you regret sending. Even though friends won't be able to send you anything while your account remains inactive, any snaps you sent before you deactivated your account will still appear in your recipients' chat feeds for them to view. It turns out you don't have to go to such extreme lengths to delete your account in order to unsend a snap. Simply blocking them might do the trick. Immediately blocking the recipient fast enough might just prevent them from seeing your snap. Tap their username that appears in your chat tab or use the search field at the top to find them. In the text tab that opens, tap the menu icon that appears in the top left corner. Then tap Block in the mini-profile tab that slides out from the left side of the screen. You'll be asked if you're sure you want to block that user and to provide a reason why. Bear in mind that when you block a friend on Snapchat, they are removed from your friend list and you are removed from theirs. You will both have to re-add each other to continue snapping the way you used to. There is no guarantee that blocking a user will effectively "unsend" your snap. If the recipient is faster than you are at blocking them, they may still see your snap. Likewise, Snapchat continually rolls out updated versions of its app, and this blocking method to prevent snaps from being seen may not work in future versions. It's not known if Snapchat might introduce a new feature to allow users to unsend snaps. 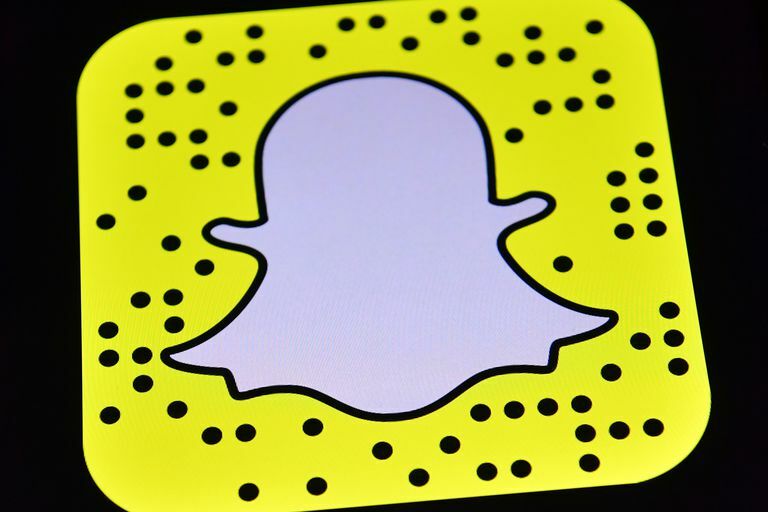 If you felt the pain of sending something you regretted after it was sent, consider contacting Snapchat through its Help page to provide the company with feedback about the snaps feature. Lastly, let's move on to the Snapchat feature that actually does have a delete option: Stories! Thankfully, Snapchat does have an official delete feature for stories so you don't have to fret about an embarrassing snap lasting for a full 24 hours for everyone to see. If you're not already familiar, Stories are the photo and video snaps you post to your My Story section, which can be publicly viewed for 24 hours by your friends or by everyone (depending on your privacy settings) when they visit their stories tab within the app. Tap on the Story you posted from the menu just below your Snap code. Tap the trash icon then confirm you want to delete it and you're done. Keep in mind that posting a story and then deleting it immediately doesn't guarantee that it won't be viewed by anyone. If you have multiple stories to delete, you'll have to delete them one by one. Snapchat doesn't currently have a feature that allows you to delete stories in bulk.